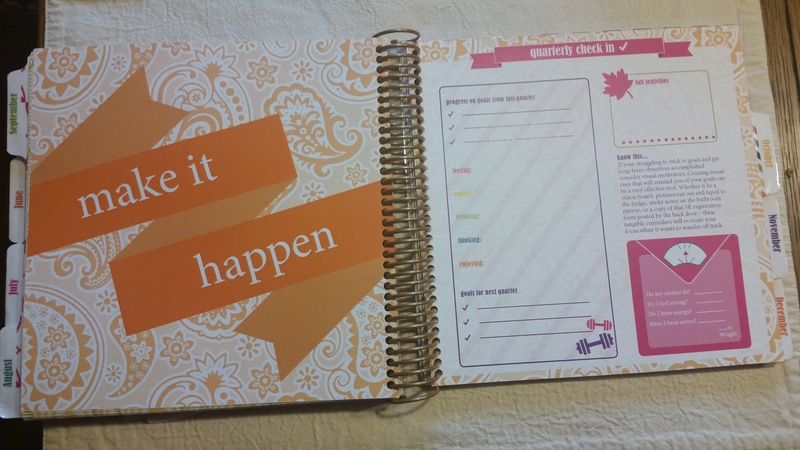 In 2013 I was looking around the internet to buy a really good planner. 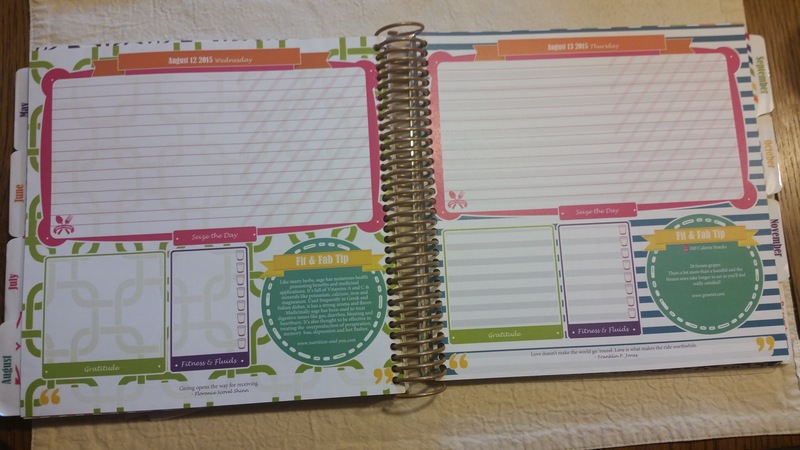 All throughout high school and college I had bought planners and used them to write down EVERYTHING. Mind you, this was all before smart phones. Blackberry existed, but what college student was walking around with a Blackberry and using the calendar extensively? I wrote down EVERYTHING and even added in post-its with more stuff. I still have two(?) from college, as I have some information in them that I haven’t re-written anywhere else… perhaps I should get on that. In 2010 I opted to try and use my phone calendar to keep information, but it just wasn’t the same. Even though I didn’t like it, I kept going with it to try and see if eventually I’ll grow to like it. Nope. I didn’t. In 2013 I was browsing around Etsy and came across Keeping It Together. AMAZING. I mulled over spending that much on an organizer and missed my opportunity, so I bought my Taschen planner (they were always French themed) and waited till December 2014 to get my awesome planner for this year. 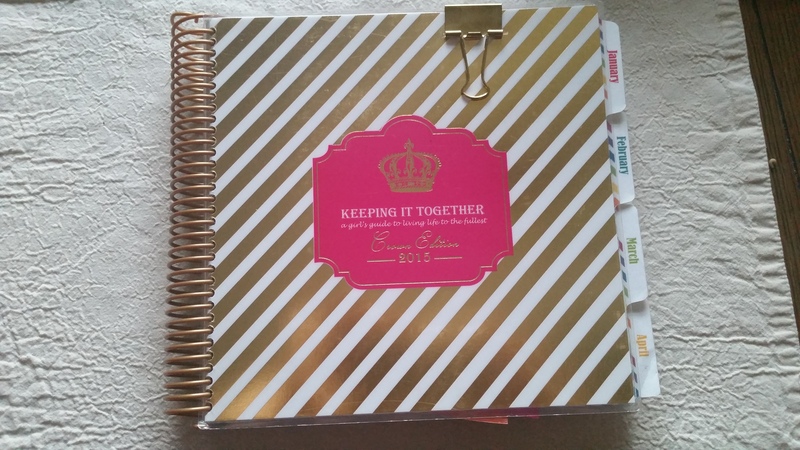 When I received the planner it was packaged in bright pink tissue paper, confetti, candies and a package of stickers, paper clips, several markers, a separate notebook, a gold permanent marker, and clips. Oh, there was also a dry erase marker with this grocery list keeper. I liked that there’s a Quarterly Check In page, a Monthly Goals page, and a full month calendar on each page beginning the new month. I use the Budget portion and cross out the parts that don’t apply and write over them; however, I haven’t gone back to review my statement and check the ‘actual’ part. 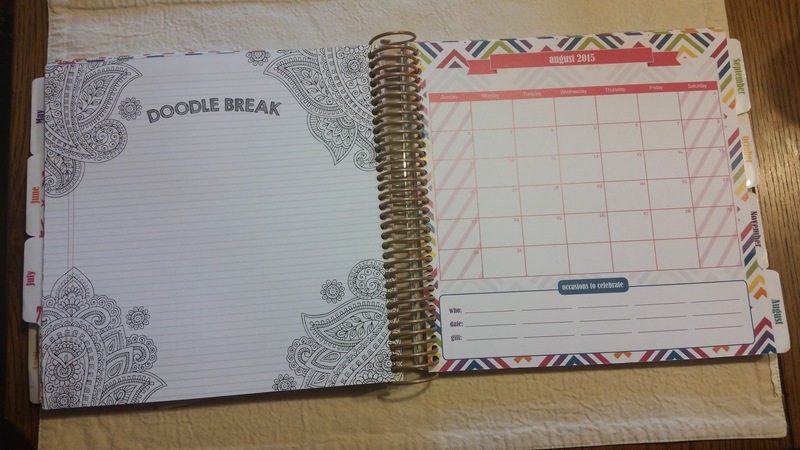 I also really like the tabs, Taschen calendars do not have tabs and I was replacing rubber bands and clips around my previous months like no other! Not only are the clips gold, but extremely sturdy for keeping the previous six months pages together. On each day you have a spot for you Gratitude and Fitness & Fluids. Honestly, I haven’t consistently written in those spots. I use an app to keep track of my fluids and write my workouts in on the space above. It’s easy to separate the larger space due to the diagonal lines on the right hand side. I do enjoy the daily quotes and the Fit & Fab Tips are neat to read. I do wish Saturday and Sunday had their own pages. I tend to use a post-it on the weekend or stuffing a loose paper in there to expand what I need to have written down. I really love this organizer. It has been great to keep me on track, no matter how silly the reminder! The extra notebook that came with it I have used for lists of things to buy, crochet projects to complete for Christmas, if I come up with a post idea, when I’m reading a devotional and need to jot something down, or anything else… it’s like a traveling journal of some kind. My journal that I write my reflections in is a large sketch book because I also will put collages in or other scrapbook like things. I would definitely re-purchase this again for 2016 and I highly recommend it for anyone who needs something like this because they haven’t converted to the electronic way of life 🙂 In addition, I loved knowing that I was supporting a group of ladies with a dream, a business, and it’s Made in America! 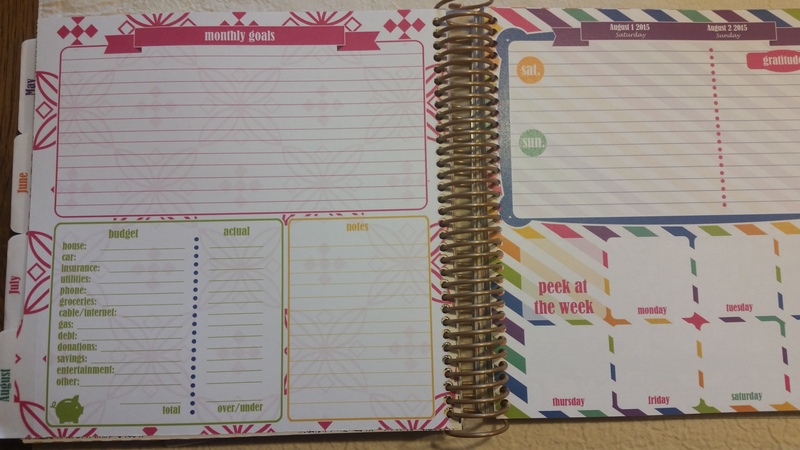 So, what do you use to keep track of daily life? Goals? Your To Do Lists? What are your methods? !